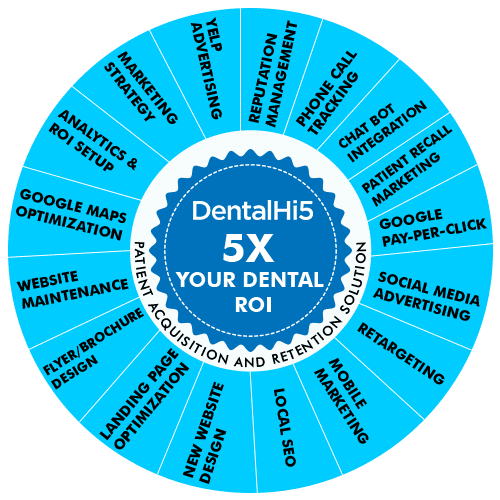 A Comprehensive, Cutting-edge, Custom designed, Conversion-based and Cell/Mobile centric Dental Marketing Solution tailored towards driving 5X ROI for your dental practice. Our Proven Patient Attraction and Retention Solution will take your practice to the next level. 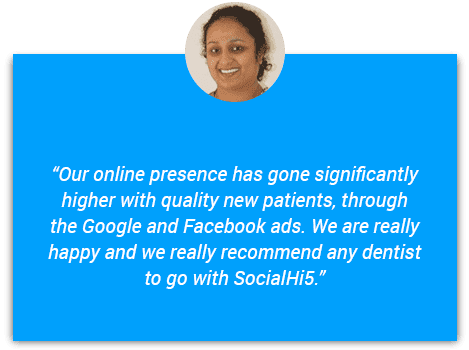 As a leading dental marketing company, we at DentalHi5 provide web marketing, dental search engine optimization, and social media marketing for the dentist. Today, most people search online to find a dentist. So, how do you get in front of these potential customers? There are many different ways to do that, some of the most effective methods are PPC Advertising, Facebook Advertising, Retargeting. 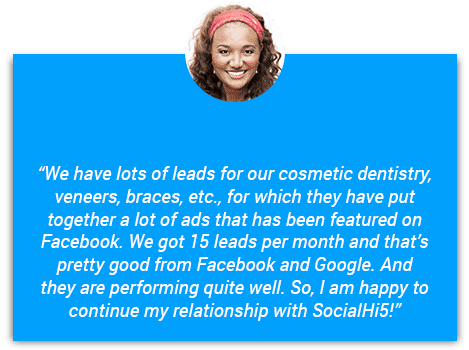 We specialize in all of them and our online dental internet marketing services are tailored to fit your individual dental practice needs. We bring quality leads from potential customers who are searching online on Google and Facebook for services offered by you. 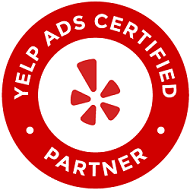 Proven Track Record - We are a certified Google partner with specialization in online dental marketing. 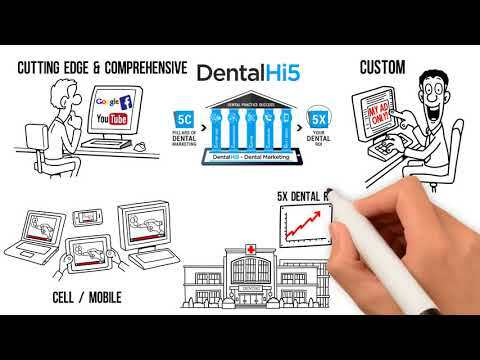 We offer tailor -made marketing solution that meets the unique needs of your dental practices. 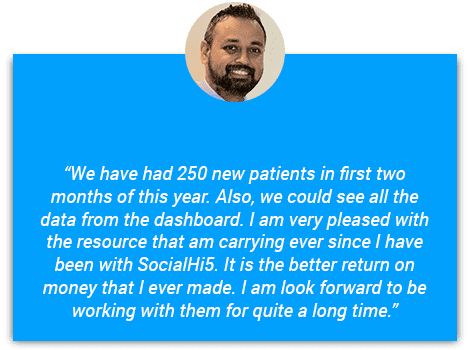 We have helped hundreds of dentists acquire new patients with high ROI (Return on Investment). Transparent Process - As a professional dental marketing company, we offer a high level of transparency into all aspects of the campaigns, including detailed reporting on calls, emails, and visits to your website. This will give you peace of mind and a clear knowledge of our marketing efforts. 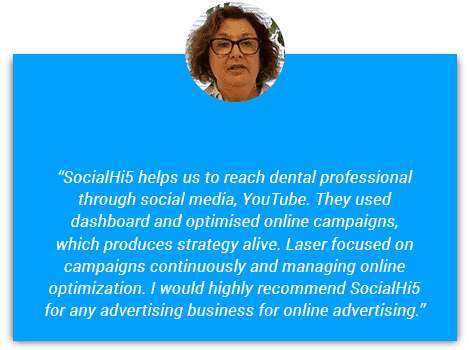 Experienced Workforce - Our experienced dental marketing staff will help you launch a robust marketing strategy, including PPC, search engine optimization (SEO), Facebook Advertising, and Retargeting. 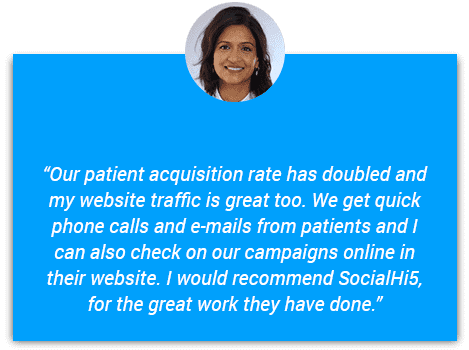 Our tailor-made internet dental marketing strategy will help you attract new patients and secure referrals. Proven Track Record- We are a certified Google partner with specialization in online dental marketing. We offer tailor-made marketing solution that meets the unique needs of your dental practices. 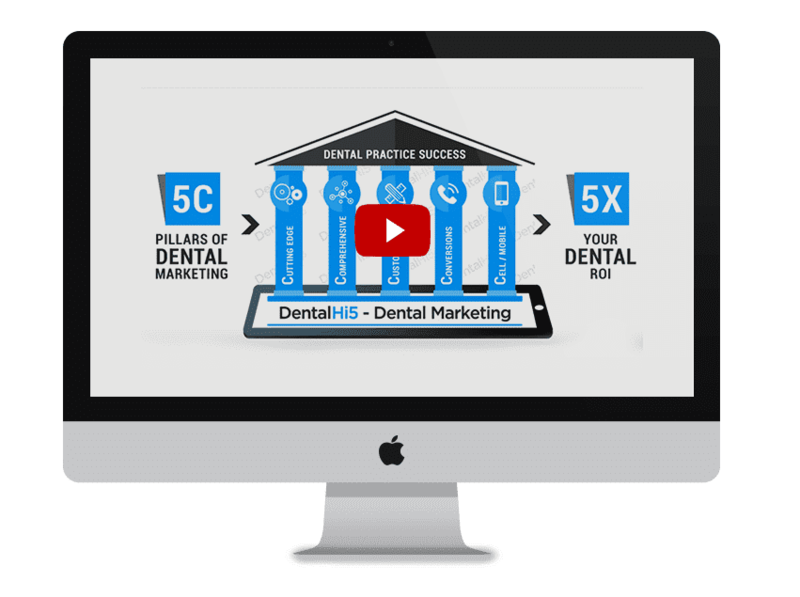 We have helped hundreds of dentists acquire new patients with high ROI (Return on Investment). 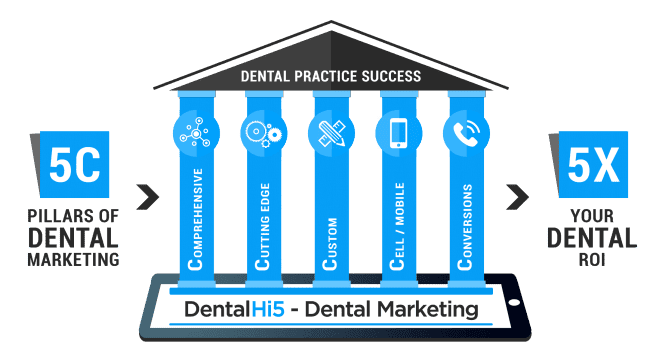 Transparent Process- As a professional dental marketing company, we offer a high level of transparency into all aspects of the campaigns, including detailed reporting on calls, emails, and visits to your website. This will give you peace of mind and a clear knowledge of our marketing efforts. Experienced Workforce- Our experienced dental marketing staff will help you launch a robust marketing strategy, including PPC, search engine optimization (SEO), Facebook Advertising, and Retargeting. Our tailor-made internet dental marketing strategy will help you attract new patients and secure referrals. 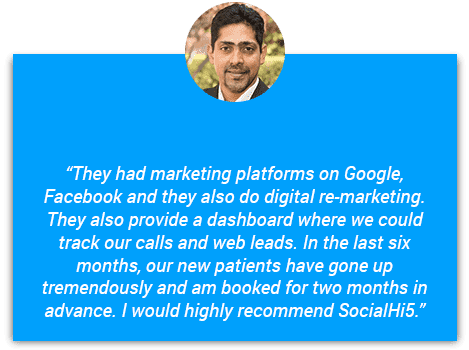 At SocialHi5, we are Google Certified Premier Partner Agency and essentially a one-stop Dental Marketing Agency committed to growing your Dental Practice. Say Bye to age old ineffective marketing and High-Five to Cutting Edge Dental Marketing.